Apparently this photo, and others like it, can be found on Yelp and other such sites dedicated to food and general amusement. Given my professional interest in employee selection, she knew I might find this interesting. Wow. Talk about your impossible hiring standards. Amusing, no doubt. And, my brain functions well enough to understand that the point of this sign is to get your attention. However, part of my brain – the part that works for a company that takes great pride in helping our client partners improve their talent assessment and talent development solutions – is disappointed by this job posting. No pun intended, it is simply another sign of how corporations continue to give short shrift to talent selection. I wrote an article a few years back titled, HR Budget Calls for Iceberg Lettuce, lamenting this same trend. 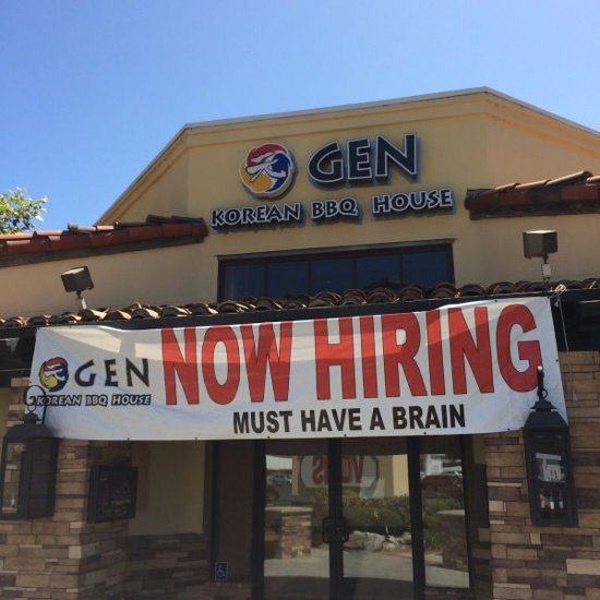 Apparently, all you need to perform the job at this restaurant chain is to have a brain inside your cranium. It doesn’t even need to be a fully functioning brain. It doesn’t even need to be a specific type of brain. For example, maybe a brain that empathizes with customers and takes joy from seeing them enjoy their dining experience would be helpful. Nope…just a brain. There are no other requirements. I’ll give them this: they won’t have to worry about defending a discrimination in employment case. The only person not qualified would be the Scarecrow from Wizard of Oz. Poor Scarecrow. But, hey, Frankenstein’s monster? You’re qualified to serve gobchang. Again, the point of the sign is no doubt to pique your interest and perhaps demonstrate that they don’t take themselves too seriously. However, I do worry about the message this is sending. How seriously does this restaurant take hiring its employees? Is hiring people this simple? So easy a caveman can do it? I wonder what methods and tools this organization equips their hiring managers with to assess this “must have a brain” hiring standard? How do they determine that I have a brain? Curious, I attempted to find out. Yet, try as I might, I cannot figure out to apply for a job. I guess this is one of those situations where you actually need to walk-in and fill out a paper application. Welcome to 1987. Either that, or I already failed the test. What? That’s unpossible. Unpossible I tell you. Well, this restaurant chain has 15 locations and is growing. That, I was able to learn. Good for them. Fingers crossed that one comes to my area soon, so one day I can find out. 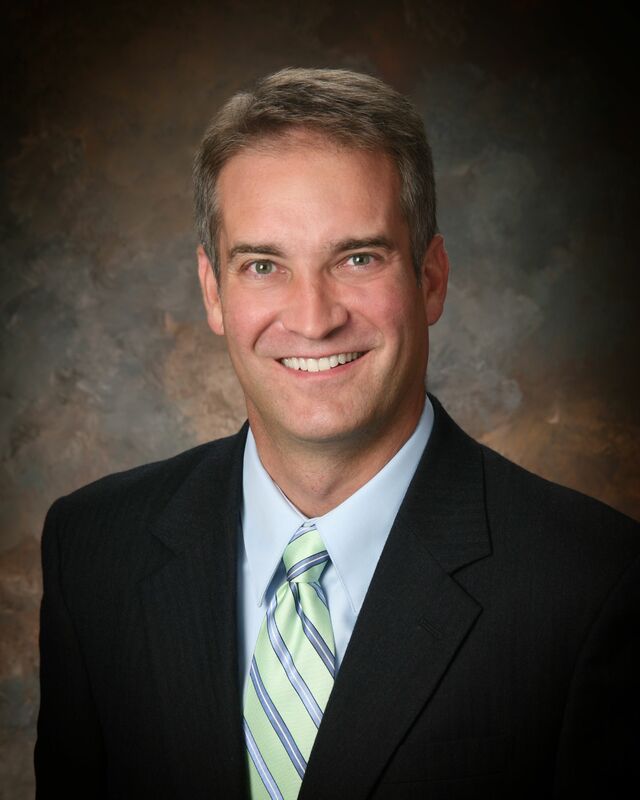 Doug is the Chief Executive Officer at Select International. He works extensively with organizations that have large‐scale, national and global staffing needs. His expertise includes competency‐based job analysis, selection system design, validation, applicant sourcing, automated testing, virtual job auditions, structured interviewing, applicant tracking, reducing risk in the selection process, OFCCP and EEOC compliance reporting, and turnover analyses.